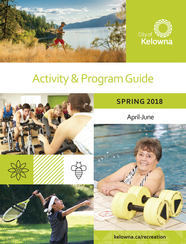 Spring into health: browse the Spring Activity & Program Guide available on Feb. 27. General: March 6 @ 7: 30 a.m.
Aquatics: March 8 @ 7:30 a.m. Leagues: March 9 @ 7:30 a.m.
Programs for persons with a disability: March 9 @ 9:30 a.m.
Commitments to social issues including homelessness and housing diversity. A key message during the presentation was the City’s strong commitment to working with community partners to develop short-term and long-term solutions to societal challenges. 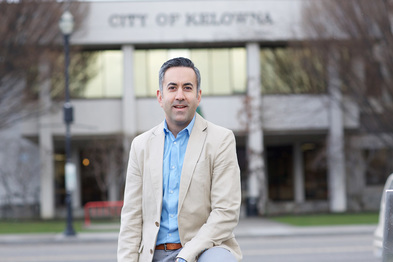 Read the Mayor's complete address on kelowna.ca. A series of 14 public design labs will encourage dialogue about complex issues and topics surrounding homelessness in Kelowna. The Journey Home Task Force is hosting the events from Feb. 19 to March 9 to hear from citizens who have interests, ideas or opinions on homelessness in the community. Topics range from early identification & prevention strategies, to housing, public education, and coordinated access, among other subjects. The broad array of topics were determined using key learnings gathered at two community summits on homelessness held in January. The summits brought together more than 100 representatives working in the homeless-serving sector, business community, government agencies and those who have had the experience of being homeless. All citizens are encouraged to complete an online survey to help inform the Journey Home plan that is underway. The survey is open until March 5. In December, national homelessness expert Dr. Alina Turner joined the Journey HomeTask Force. Her work has seen her complete more than 50 projects on ways to address poverty and homelessness in communities across Canada, including recently for Calgary, Victoria, Edmonton and Yellownkife. For more information, and to get involved with Journey Home, visit kelowna.ca/journeyhome. Starting in early March streetlights in your neighbourhood will be switched over to LED lighting. More than 10,000 lights across Kelowna will be changed to the energy efficient technology in 2018, resulting in nearly $13 million cost savings over the next 15 years. Each bulb takes about 10 minutes to switch out. LED street lighting technology reduces energy costs and replacement needs, improves lighting quality and increases road safety. The light replacements will cost $4 million upfront, a cost that will be recouped within the next four years in energy savings. The new street lights in Kelowna will be dark-sky compliant and set at 3,000 Kelvins, which minimizes glare and ‘blue light’ in the evenings. 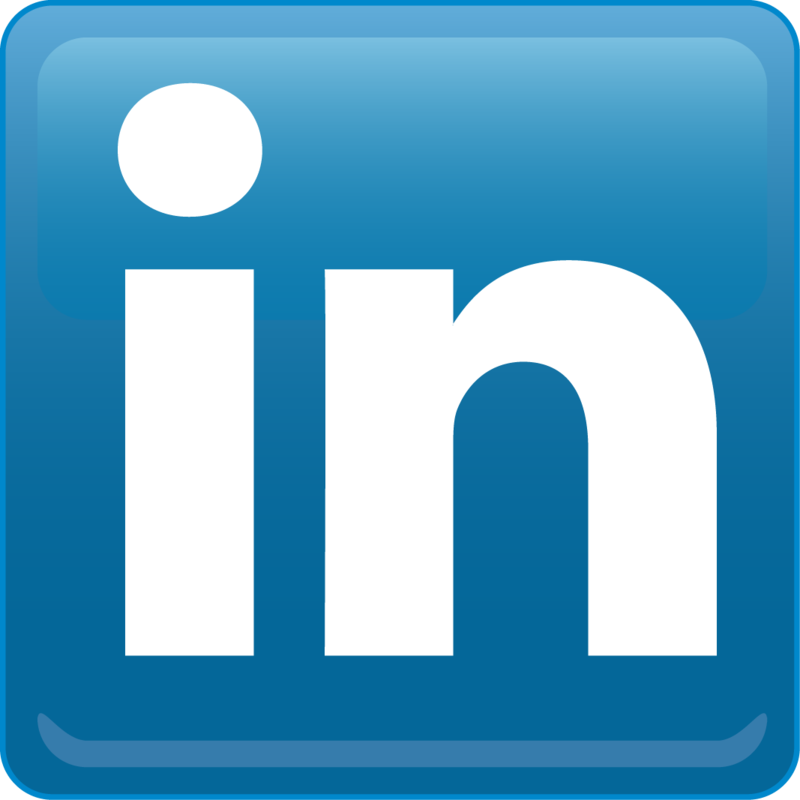 Learn more about the switch to LED online. 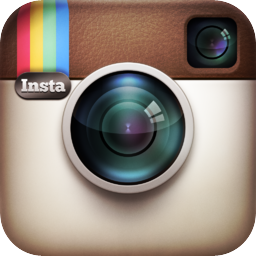 Feeling inspired to look at ways to save energy and costs within your home? Homeowners can take advantage of multiple energy efficient rebate options from FortisBC. Follow this link for details. A hub for employment and entrepreneurship is quickly becoming an attractive location for urban living. The plan proposes increased residential densities to transform Capri-Landmark into an area where people can live close to key amenities including restaurants, shopping, alternative transportation, public parks and spaces. The preferred plan was developed with significant community input and technical analysis and received Council endorsement in January. This has set in motion the development of the final plan report which will be presented this spring. 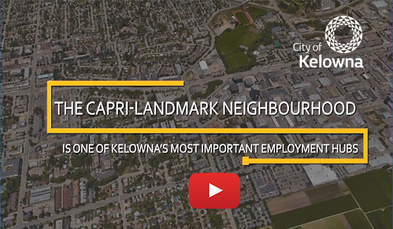 Take a look at the Capri-Landmark Urban Centre Plan at kelowna.ca/planningprojects and click image above for an informative video.